I forgot to mention in the show that there is a +1 button just to the right here > give it a click if you “like”. 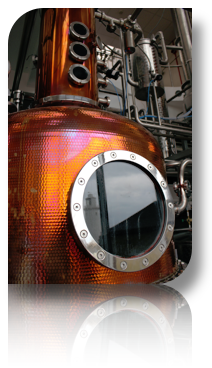 I couldn’t resist using this pic of part of the new Adnams distillery which Jordan Reyne and I visited last week. See Southwold lighthouse reflected in the window? Having played their track One by One back on 259 it really is high time we checked out another Trews track. The album was recorded in the wilds of Bath, Ontario. And so bassist Jack Syperek, drummer Sean Dalton, and the two MacDonald brothers faded into the bucolic splendor of Bath, Ontario, where they had so much fun and got so organic that a couple months later, the Trews had a new album – Hope and Ruin. Or maybe it should be called Order Out of Chaos. June 28: Mercury Lounge, New York, NY 10002 (on East Houston Street in the LES) just a hop and a skip from the legendary Katz’s Deli. Charlotte Eriksson, also called the GlassChild, is from Sweden, Gothenburg, but has always gone her own way, leaving people amazed by her determination and independence. Only 19 years old, she moved all on her own to London to pursue her music and prove what she can do. After only 3 months she has already played with a full band at famous venues around London like the Water Rats, the Bull & Gate, the Enterprise etc. and she’s steady and carefully building a name for herself. She’s switching between lyrics like poetry with a fragile broken voice, to strong and edgy songs with a crystal clear punk/rock-voice that cuts right through. Being compared as a ”punk version of Bjork and Lykke Li”, to songwriters and vocalists such as Hayley Williams (Paramore) and Juliet Simms (Automatic Loveletters), she’s got a lot of power in her many ways of using her voice. Her music is naked and honest, and leaves you with feelings you never thought you had. ”I want to make a mess inside of people. I want to make them think.” the 20-year old says. From Monday why don’t you join Alan Carr form Dark Horse Radio who will be along with a gleaming wad of new music for you. The Kobolds are a New York City alternative rock band with a home-base in Astoria, Queens. Alex Grau and Nicholas DiMichele first started playing music together as teenagers in College Station, Texas. After moving to New York to pursue degrees from NYU, Alex and Nick enlisted Pennsylvanian drummer Andrew Benson from a local Guitar Center. Using intense intimidation tactics, Alex, Nick and Andrew coerced their long-time friend from Texas, Spencer Synwolt, to start a new life in New York and round out the rock quartet. The Kobolds were born in 2009, and released their first album, The Kobolds EP, in July 2010. Following a year of playing New York, their second album, The Kobolds EP II, was released very recently. Banditaliana was founded by internationally renowned composer and concertina player Riccardo Tesi, rated as one of the most daring and authoritative musicians in the European scene. LCL netlabel has created “La boite a sons”, a free sound bank under a CC by-nc license, supplied by the artists who released on their label or collaborated with them. Featuring samples from ARROGALLA, DISRUPT, JAMBASSA, KOU CHOU CHING, PEAK, VINILETTE, VOLFONIQ (to be growing over time). What’s more LCL have set up a competition which is now being judged by a bunch of highly respected netlabels. There are 20 entries on the LCL site all free to download and it will be interesting to see which mix wins. An excerpt from a 14 minute track from the LCL competition entries list. New Brunswick, Canada’s Matt Andersen has a larger than life showmanship that has been earning him a fervent and steadfast audience wherever he graces the stage. Matt’s sprawling blues, roots and rock musical hybrid with his sorrowing and soulful voice and astonishing guitar-playing has sparked a phenomenal buzz on Canada’s East Coast. Matt Andersen is a very real, rare, raw talent and career artist — vital to our musical landscape. For more info on Matt and his music catalogue go to www.bustedflatrecords.com. Los Angeles native Krissi Moses (now adjusting to her sudden local fame in the LA rock scene) wrote her first song at 16. Originally courted by Columbia as a solo act, Krissi flouted the advice of her friends and family, electing instead to assemble a band from scratch and work out her signature sound gigging live. It worked. Continuing to write, record, gig and explore new genres and sounds, Krissi’s material is a fresh blend of rock, pop, reggae, punk and funk, best characterized by her compilation track, “You’re Forgettable” (based wryly on her true-life first heartbreak. It’s a while since Radio Nowhere were on the show and they now have a new free 5 track EP “Under Strange Skies” available for you. There’s a no strings download of three tracks on Jamendo (www.jamendo.com/en/album/91320 ) and a higher quality 5 track version available from www.radionowhere.net/uss/ussjamendo in exchange for signing up to their newsletter with an email address.